When you work with functionality about country localizations, the legal aspect plays an important role. Everytime the Government authorities announce a relevant legal change, a SAP product team starts the development of the change to be included in the standard system. Customers, users and consultants should apply these legal changes into their systems in order to run processes and operations on time according to the legal requirements. Sometimes, the time frame given by the Government is too short, so SAP teams have to react very fast to develop and announce the availability of the legal correction. In the same way, customers have to take actions quickly to implement, test and run the new software. 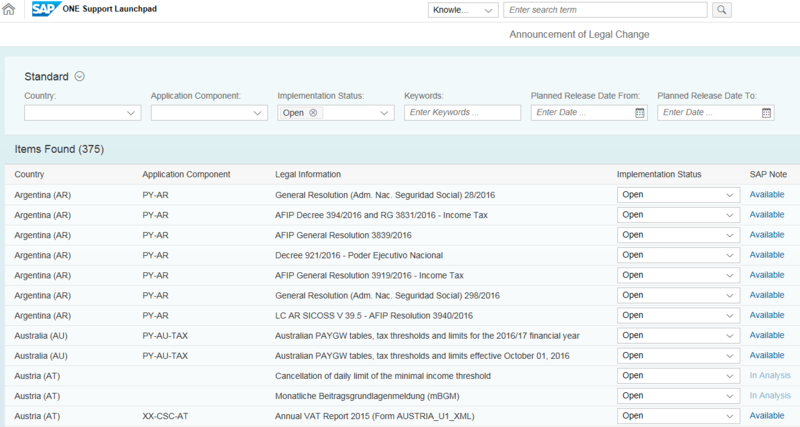 As a tool to improve the customer experience related to new legal changes, SAP developed the app Announcement of Legal Change which can be found in the ONE Support Launchpad. 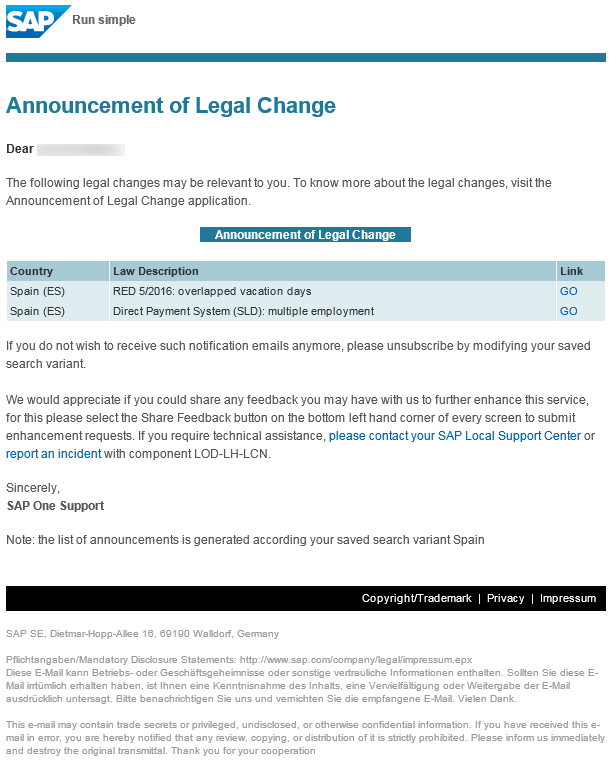 In this app, the SAP product teams announce the legal changes the SAP teams are working on. You can find information about the status of the change, the planned release date, the SAP note and other. The announcements are classified by country and application component, so it easy to filter and get the announcements you are looking for. This app also allows the users to subscribe to email notifications. This is simple, users need to create a filter, save it with a name and define a subscription period. 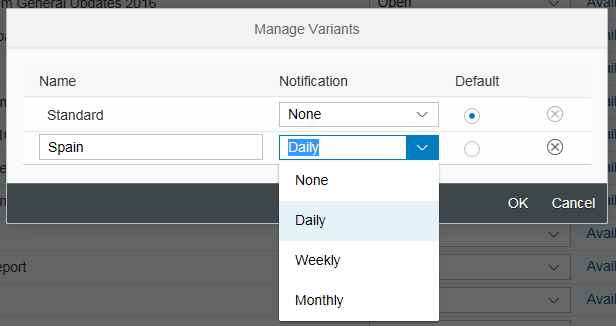 An example of how to subscribe to the notifications can be seen in KBA 2381572. Had used the filter before but had never heard of the e-mail notifications.